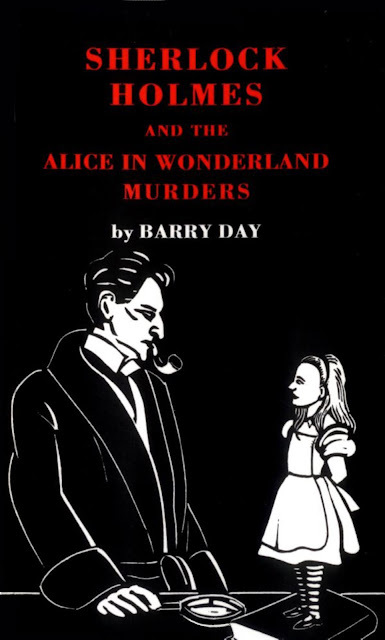 Barry Day's follow-up to Sherlock Holmes and the Shakespeare Globe Murders sends Holmes and Watson through the Looking Glass. 1898. Holmes and Watson encounter American newspaper boss, John Moxton, whose yellow press, The Clarion, is beginning to threaten and undermine political stability in Victorian England. At the same time, public figures are humiliated and then murdered. But each incident has a parallel in Alice in Wonderland, and each time The Clarion is conveniently on hand. So what is Moxton's master plan and can Homes and Waston unravel it in time? And what is the strange bond that links the detective to a man he has never met... or has he?